Alaska Photo Treks (dba of Through The Lens Alaska, LLC) was founded in 2013 by a trio of professional photographers who had a mission to share this amazing state with others through the lens of their cameras. Today, we are a group of guides and associates, including owner Carl Johnson, along with Wayde Carroll and Mark Stadsklev. With extensive and unique backcountry photography experience, each of us is also professional photographer in our own right, with many diverse clients and assignments when not instructing or guiding. We are well-versed in Alaska’s natural history and and have much to share about our lives in the 49th state. Our fun, photo-centric tours, workshops, classes and guide services cater to all levels of photographers (and non-photographers on some of the day tours). Technical, creative, and regional expertise in Alaska’s most scenic locations is our specialty. 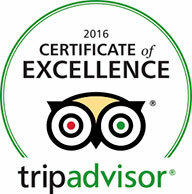 We know where to be and when, and have a pretty good track record at finding wildlife too! Services are tailored to fit every skill set and level of interest. 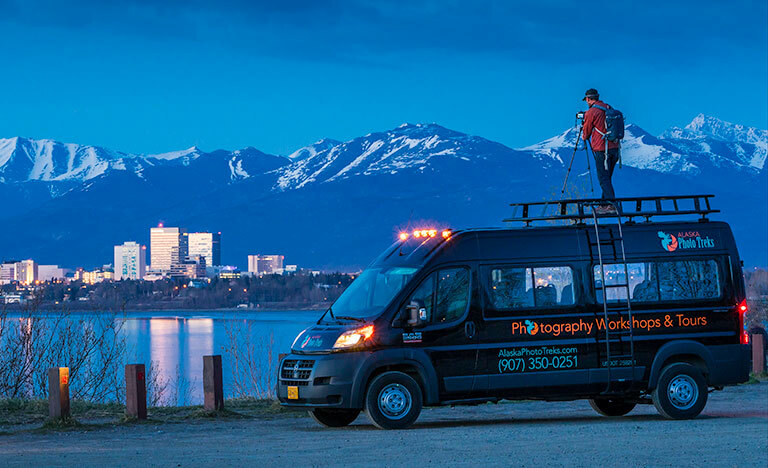 Whether you’re a serious shooter or dabbling in photography with a smartphone camera, our aim is to help you take home the best scenes and memories Alaska has to offer. Alaska Photo Treks is a proud member of Alaska Travel Industry Association and Visit Anchorage, and is Adventure Green certified through Alaska Travel Industry, for our environmental and cultural commitment. Partnerships include Salmon Berry Tours, All Alaska Tours, Rust Flying Service, Knik River Lodge, Anchorage Helicopter Tours and many more reputable, Alaska-based operators. Alaska Photo Treks offers photography tours year round. Sunset Photo Safari operates May- August. Twilight Photo Tour runs September-March. Departure times for both tours depend on sunset, which at this latitude constantly changes throughout the year. The times for each week are posted on the respective pages for each tour. Cell phone photographers will enjoy the fun, fast-paced InstAlaska Smartphone Photography Tour. Winter months also include the northern lights viewing adventure, Anchorage Aurora Quest. Explore Alaska Photo Treks to learn more about these excellent, instructional day tours, multi-day tours, private tours and workshops. Contact Us to plan your Alaska photography adventure today!